Discussion in 'Warnings and Dangers' started by Sanders, Jun 13, 2018. These are the specs I bought recently, the one at the back in each picture is the cheap one still fully multi-coated just not varifocal and no transitions, £22 with postage. 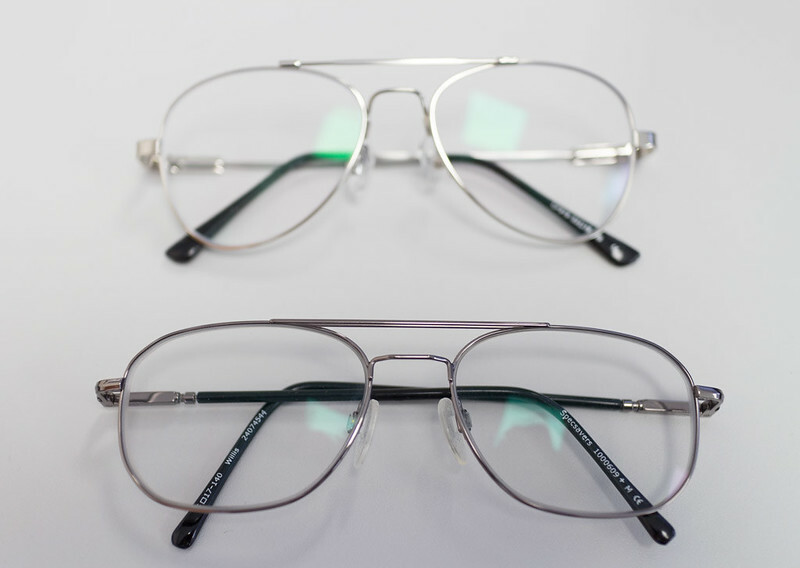 The front ones are the expensive and yes very good Specsavers pair at around £200. The Specsavers pair are particularly light at 21 grams as well. I don’t think my wife would go for those. What’s the reason for the two shots? Are they different? Looks like same specs but differing focus ? The top ones are "Eddie the Eagle" style. Did you get them to send samples prior to buying? Although the prices are massively reduced for online purchases it hasn’t taken the optics world by storm. I guess people like to try on in store mostly. No I just read the measurements and compared to my Specsavers ones, and for 2o quid I thought if what you get is ok then maybe use them again for something a bit more expensive. You can see the slight tint on the transitions ones I suppose they don't get much lighter than that although I had just been wearing them outside a minute or so prior to the picture. What is the difference between your two images apart from your camera focus? Yeah it would appear so, I like aviators the only thing about these is that the lenses are a little small, if I could haver got varifocals in that shape I would have but they don't recommend that shape for varifocals the other pair were the closest I could get. 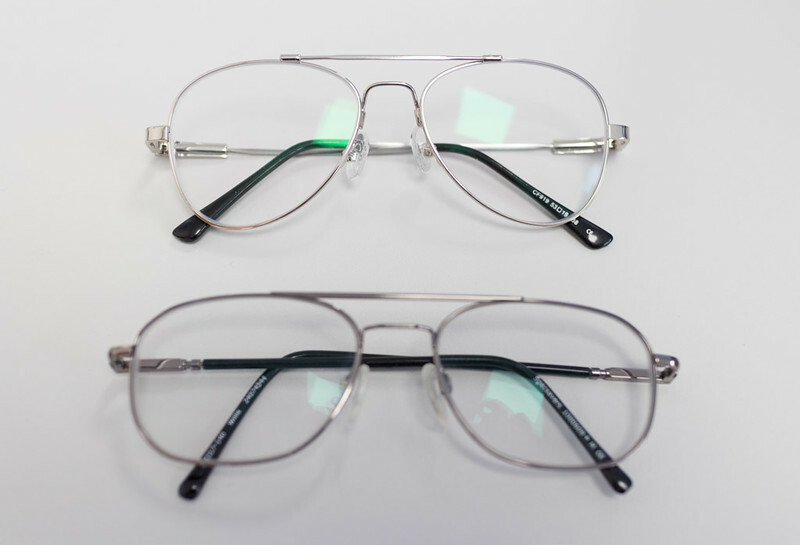 Just wanted to give a clear idea of the actual quality of the two type of frames, the cheap ones are very good for the money but you can tell they are cheap on the in-focus shot. Yeah definitely cannot complain for the price. these are my specsaver job. had them years now. bifocal reactions. same lenses..in spite of several eyetests. my distance vision is very good..but need help with close work / computer screen. cant be helped---70 now and not counting. I went for an eye test at my local Specsavers in the NorthWest a year ago and it was absolutely heaving with customers. They are obviously very popular. The young woman who conducted the eye test was very professional and a very lovely and attractive lady from the Indian subcontinent. However, my wife had her eyes tested and a prescription made up at another branch a couple of years earlier, that happened to be not very many strides from where I worked. Which meant that when I needed to I was able to call in with ease. The problem began when my wife’s driving instructor questioned her ability to read a number plate at a short distance, on another car. He tested her. He suggested she get her eyes checked as failing the number plate reading section of the driving test has dire consequences for the candidate. So she went to have her eyes tested at Specsavers. They then prescribed her a pair of glasses. We had mentioned the driving test but they simply said that their prescription glasses would sort that out as they effectively test to the testing authorities requirements. The problem was that she still could not read a number plate at a distance of 20 metres away, failing on 50% of the occasions where letters were similar to one another like F and E.
So we returned to Specsavers and this is where the manager became involved and where he made the adjustment to the arms. And although they sat better on her face, they did not resolve the driving test requirement issue. They gave her another test but no change there. So I said to them that although their eye test results conclude that my wife ought to be able to read number plates at 20 metres, they do not actually test for it over that distance and just conduct a form of simulation. They reluctantly agreed but had no idea that cataracts were the cause or what might give a solution. The manager offered us a refund, we kept the glasses and went to another optician. The alternative optician not only diagnosed my wife as having cataracts but referred her to an NHS eye specialist who confirmed it and also prescribed her glasses that did the job. You could describe it as the day I saw through Specsavers. My wife took her driving test, passed the eye test (twice as failed on a driving error the first time) and gained her driving license. Very poor show from Specsavers not detecting the cataracts. It is certainly something to be aware of, I just checked the risk factors and symptoms and I don't think it is a problem for me yet, the high street optician's standard eye test seems to only check for glaucoma (the puff test) and AMD (Macular degeneration, pictures of the retina) but that appears to be about it. Did they have the op? They also have something called an accommodative IOL (intraocular lens) which works like a natural lens adjusting focus but I really don't know anything about that technology as I just discovered it via google.